UPDATED: Tue., Aug. 7, 2018, 4:18 p.m.
NEW YORK – For the first time in WNBA history, a team has forfeited a game. The league ruled Tuesday that Las Vegas will get a loss for its game against Washington that was canceled when the Aces players decided not to play because of concerns about their health and safety after 26 hours of travel. The Aces needed more than a day to get to Washington from Las Vegas because of flight delays and cancellations Friday. By the time the team reached its hotel it was 3:45 p.m. – about four hours before the scheduled tip. The Aces players talked things over and spoke by phone with the union Friday. They called the league to say they did not want to play. 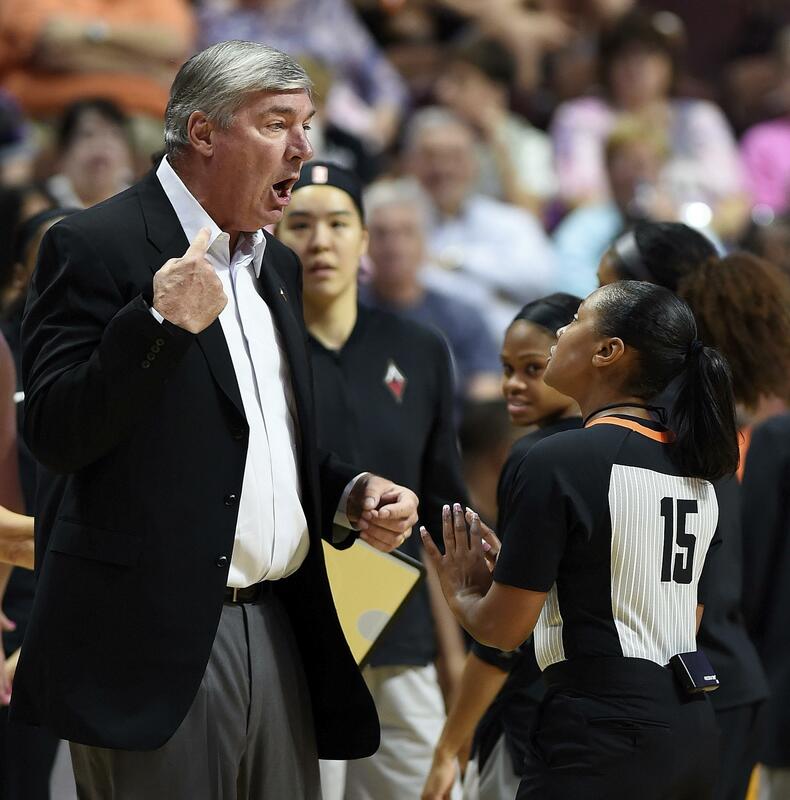 The league said it “worked extensively” with both teams to find a “workable solution.” The WNBA added it delayed the start of the game until 8 p.m. to give the Aces as much time as possible after their arrival. The Aces put out a statement right before the tip of their game Tuesday night in Atlanta. “Our entire organization has the utmost respect for the very difficult decision our players made, and we stand with them,” Las Vegas president of basketball operations and coach Bill Laimbeer said. There was little precedent for the decision because the WNBA has never before canceled a game. There have been only a handful of instances over the past few decades in major sports in which teams have had to forfeit. Most of those occurred because of fan involvement, notably the Chicago White Sox’s infamous Disco Demolition Night in 1979 when the field was so damaged the second-game of a doubleheader could not be played. “We anticipated that this was a possible outcome that the players on the Aces seriously considered,” Terri Jackson, director of operations for the players’ union, wrote in a text message to The Associated Press. The union added that it hopes the league will accept its proposal to form a group that will develop scheduling and travel guidelines. Making up the Aces-Mystics game would have been exceptionally difficult because of the compact schedule. Both teams play virtually every other day over the next two weeks before the regular season ends Aug. 19. The Aces are in ninth place and the forfeit moved them two games behind Dallas for the final playoff spot. Washington moved into a third-place tie with Los Angeles. The Mystics had to refund fans who had tickets for the game. As a goodwill gesture they are also offering tickets to another game. Washington, which played in Phoenix on Tuesday night, declined to immediately comment on the league’s decision. Published: Aug. 7, 2018, 10:01 a.m. Updated: Aug. 7, 2018, 4:18 p.m.